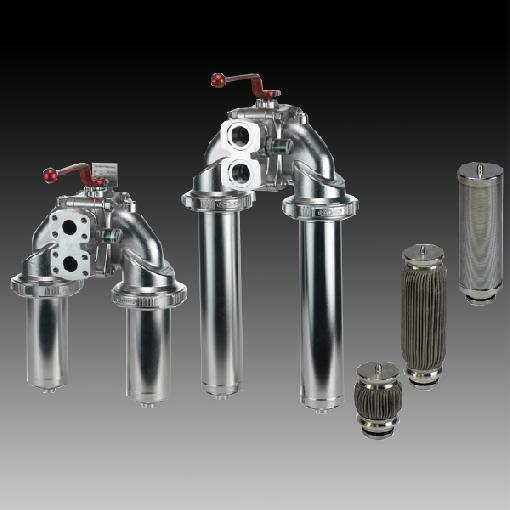 The HYDAC Process Double Inline Filter Medium / High Pressure – PFMD / PFHD is a double stainless-steel filter for separation of solid particles from fluids. Furthermore, it has filter elements of type “SZ” and filter materials such as chemicron® metal fibre fleece (1 to 20 μm), wire mesh (25 to 250 μm) and wedge wire (50 to 2000 μm). Also, pleated filter elements with large filter area (Chemicron® metal fibre fleece and wire mesh).